The concept for Magpie is a strangely coincidental mix of fact and fiction. 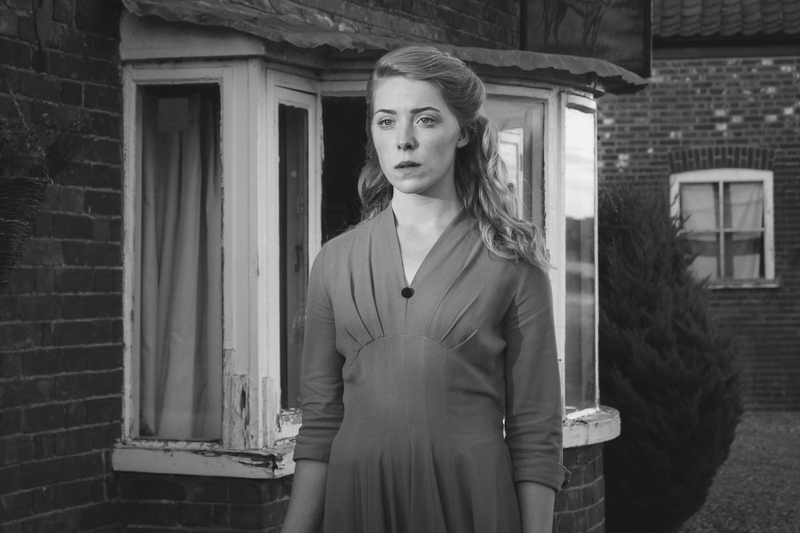 In early 2013 Carmel Hannant dreamt of a story of love and companionship amidst the backdrop of late 30’s, early 40’s Norfolk. 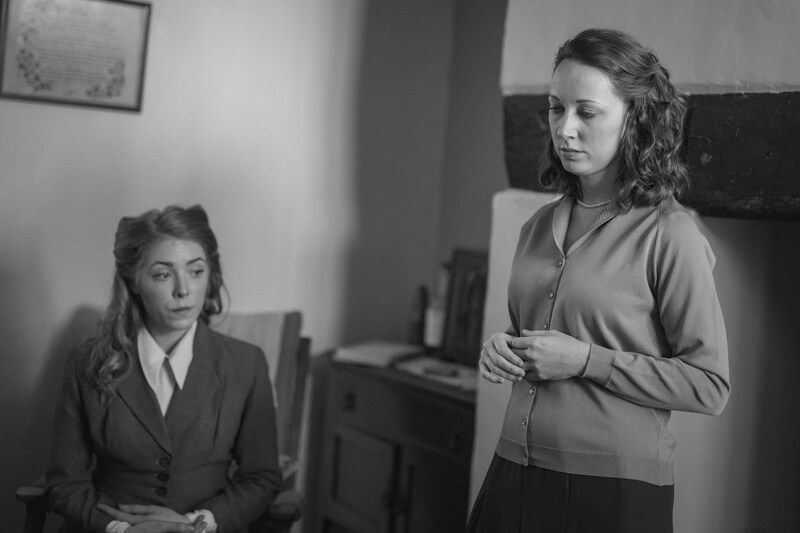 After initially writing the screenplay and working on further drafts with Paul Cook as a co-writer of the project, Carmel made progress with her own family history research. 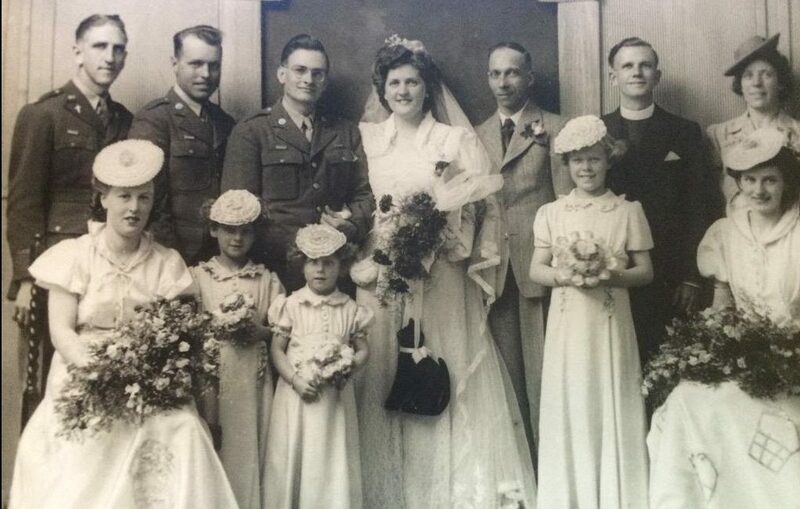 In an amazing turn of (past) life imitating art, Carmel discovered that during World War II a family member had in fact lived a life very close to the story that she had written. Carmel spent the next 8 months developing the plot lines and characters in the film whilst simultaneously researching her family history in more detail. As each new piece of information surfaced, new drafts of the screenplay felt more and more real. 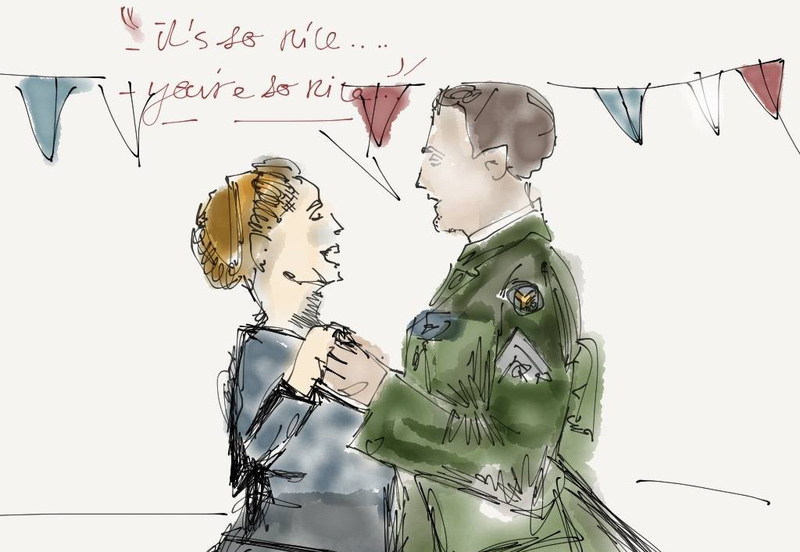 The idea that so many women in Britain fell in love with US servicemen during WWII fascinated the film’s writers. The notion of the “G.I. Bride” and also the stories of married women falling for another man felt like a thread to the story that needed investigation. 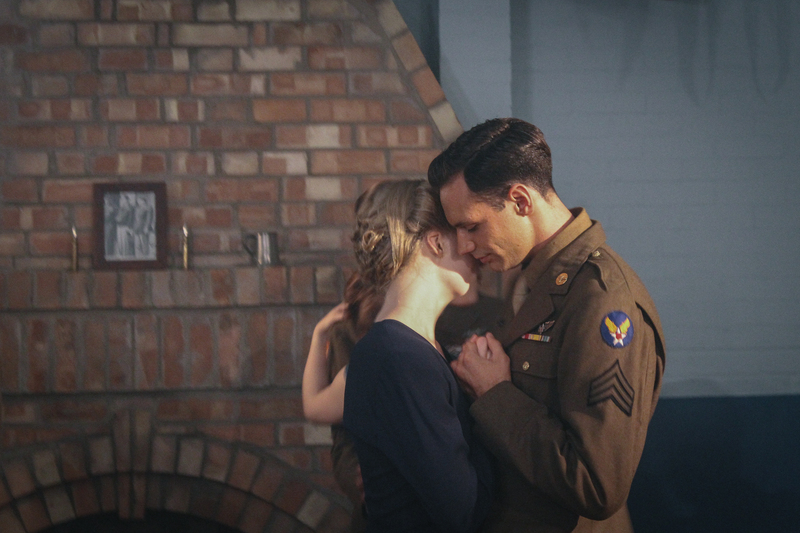 Alongside this love-triangle storyline, Carmel wanted to explore an aspect of life during and after WWII that was less discussed; Post Traumatic Stress Disorder. This is an illness that affects veterans of all conflicts and has for the past 30-40 years become more widely recognised. 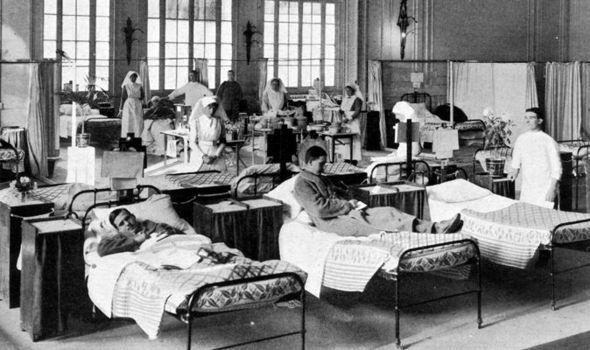 However, in 1940, and for decades after the conflict, only terms like “battle fatigue” and “shell-shock” were used, often leading to misdiagnosis and little-to-no effective treatment for PTSD-sufferers. This was something that compelled the writers to investigate further and convey on-screen in the character of George. 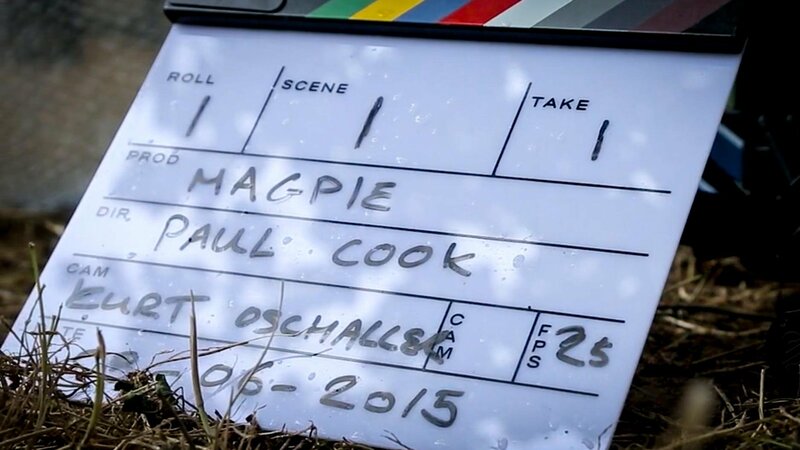 In 2014 Paul & Carmel produced a zero-budget proof of concept pilot for Magpie, originally titled ‘Blackout.’ This was produced to support a crowdfunding campaign which was to launch later in the year. Unfortunately the project was unsuccessful in reaching its target first time around, but the passion to bring the story to the screen, along with interest from a number of external parties meant that this wasn’t the end for the film. What was clear from the first attempt to get Magpie made was that there needed to be a more realistic approach. Rather than a 120+ page script that required a budget of hundreds of thousands, a more achievable script was written, rooted much more in the interpersonal drama between its three lead characters Lily, George and Charlie. The script became leaner and its writers became even more determined to bring the story to life. 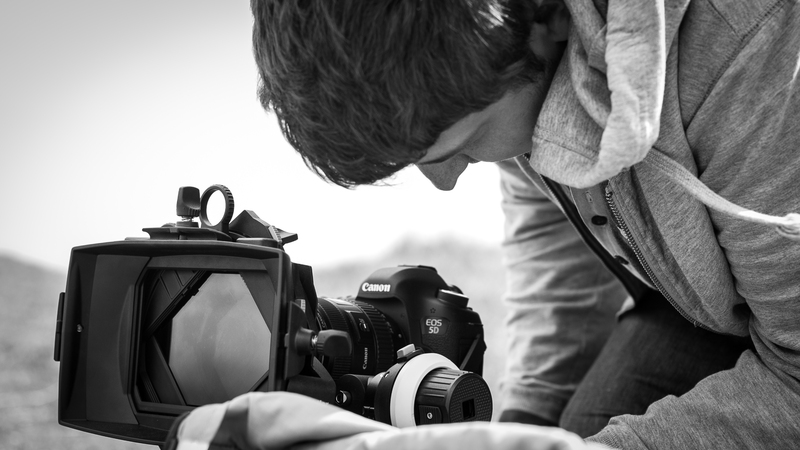 From around March through to June in 2015, Paul devised a plan to pitch the film in a more unique and memorable way, one that would require some meticulous planning and a lot of rehearsal. He and Carmel wrote the pitch and began to piece together what they needed to achieve it. 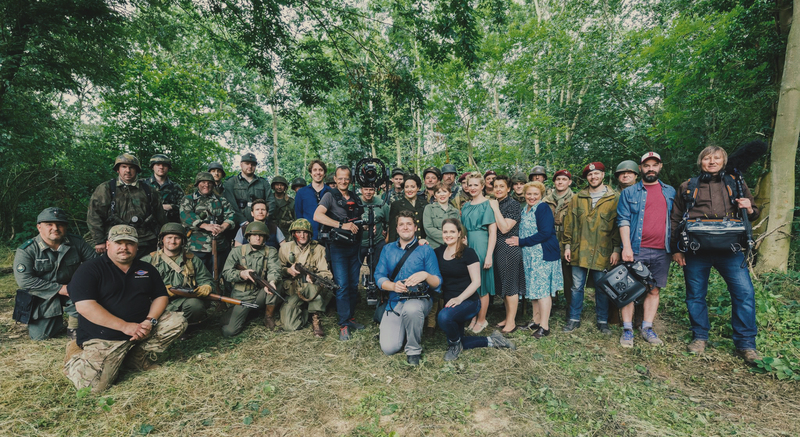 Carmel gathered up her contacts in the re-enactment community and Paul put together a team of colleagues and industry-professionals to shoot the pitch video. The Magpie Kickstarter campaign went live on 9th September 2015. Within 24 hours it had raised £1000 of its £12,000 target. By the end of the month, with 10 days to go, the team had raised £6000 – but with 50% raised and only 10 days to go the last hurdle was going to be a tough one. The campaign received some great mentions in the media, attracting the attention of local, national and international publications. The campaign officially ended on October 9th and after a couple of weeks the money had been totalled up, collected and the initial budget for the film was in the bank. 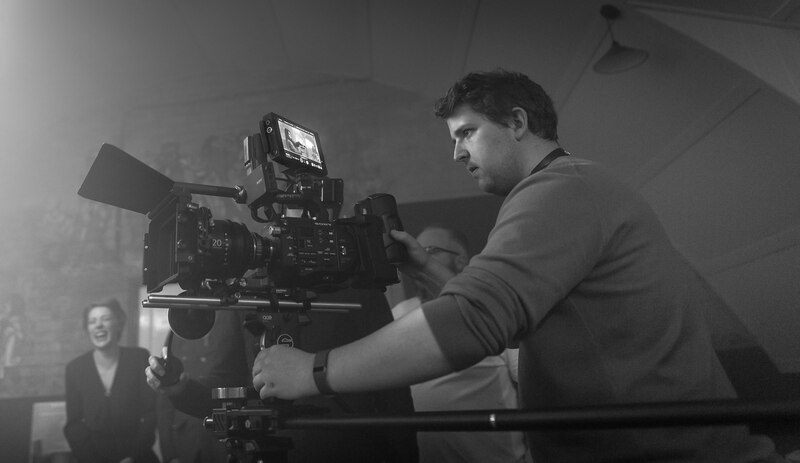 Kickstarter and bank fees left the project with just over £11,000 to get the film off the ground and production would begin the following year. Further work on the screenplay, location scouting and budget planning took us through to Spring 2016 when our main focus became casting the remaining roles of the film, including the leads role of ‘Lily’ and ‘Charlie’ and the supporting roles of ‘Sam’, ‘Jack’ and ‘Leonard.’ The team received nearly 1900 submissions, 200 self-tapes and eventually auditioned a short-list of 24 applicants. Hannah, Mateo, Joseph, James and Guy were soon chosen and the cast was complete. Throughout May, June and July there was a lot of preparation to do ahead of the film’s busy August production schedule. Sourcing locations was a mixture of challenge and triumph. 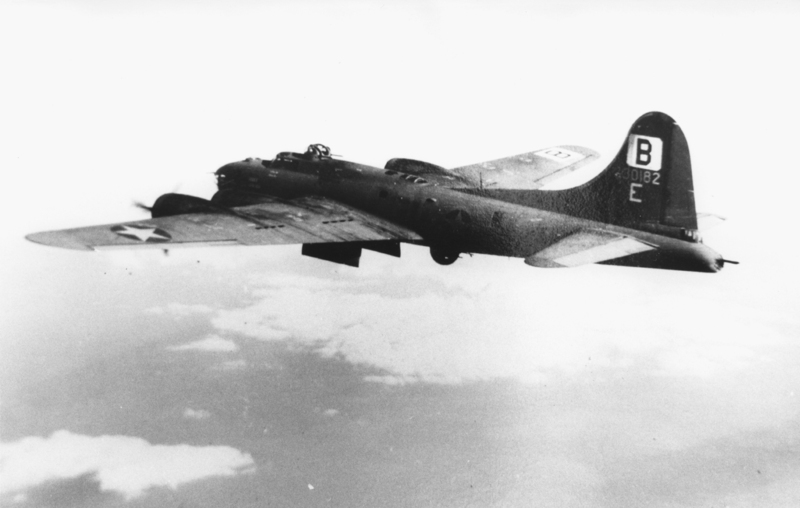 On the one hand the team had already secured the unique airbase locations that had been on the doorstep for over 70 years; Horham, Thorpe Abbotts, Parham and the 95th Bomb Group Hospital Museum (also in Horham.) However other key locations, such as an accurate period property that would serve as George and Lily’s home, took months to find. Eventually a beautiful house in Aldeburgh was found and the other locations, including Southwold’s incredible Electric Picture Palace cinema and Tibenham’s rural Greyhound pub, were also secured. The team faced a packed shoot schedule which included a total of 13 shoot days in a 3 week period, split across 9 separate locations. Magpie is a great example of an independent film that was made possible by the collective effort and passion of dozens of individuals. By the end of August 2016 almost 75% of the film was in the can. Budget, weather and cast/crew availability meant that further shooting days were to take place later in the year and into 2017. After our initial block of filming was completed in August the team took stock of the footage they had and what was still needed. 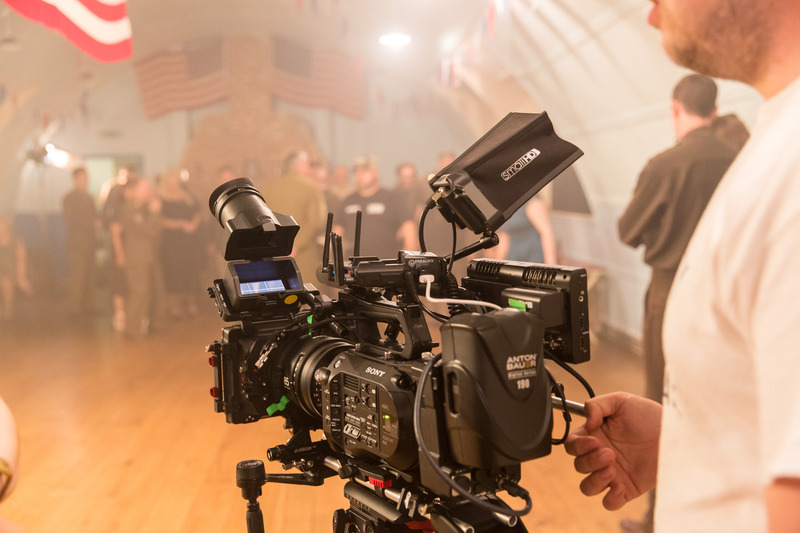 A second trip to Horham’s amazing Red Feather Club was the first new shoot in the diary and one of the film’s crucial scenes was soon in the can. 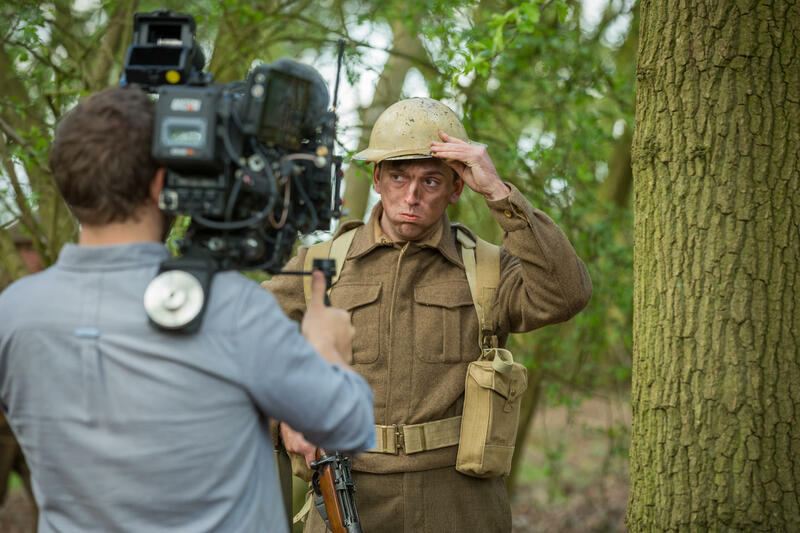 The new year had soon been and gone and the team were quickly back into shooting. 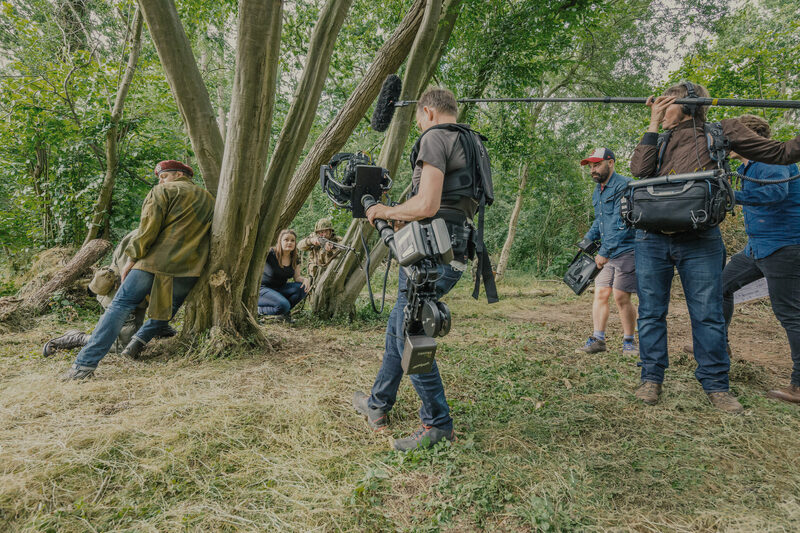 The crew also welcomed new cast members to the production for their first days on set; Emma Howell and Michael Southgate playing ‘Dorothy’ and ‘Bob’ – both based on real life members of Carmel’s family. May 29th 2017 marked the 20th and final shooting day of principle photography. 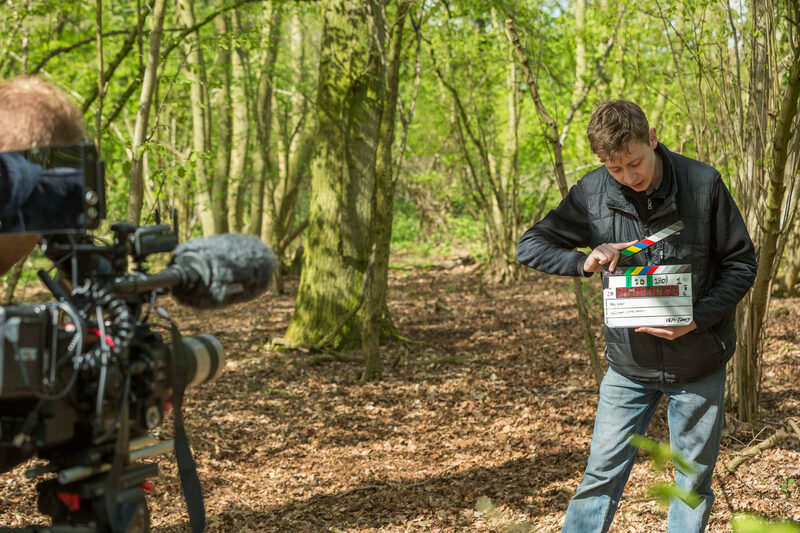 The last scene to be shot was one of the film’s crucial moments between George and Sam, and it seemed a fitting end to filming; an emotional reflection on their journey together, through thick and thin. Post-production on Magpie is in full swing and pencilled for a mid-2018 release. The film will tour the film festival circuit initially, screen locally and nationally and the film’s producers will eventually pursue distribution and/or broadcast. © 2019 Paul Cook Film. All rights reserved.